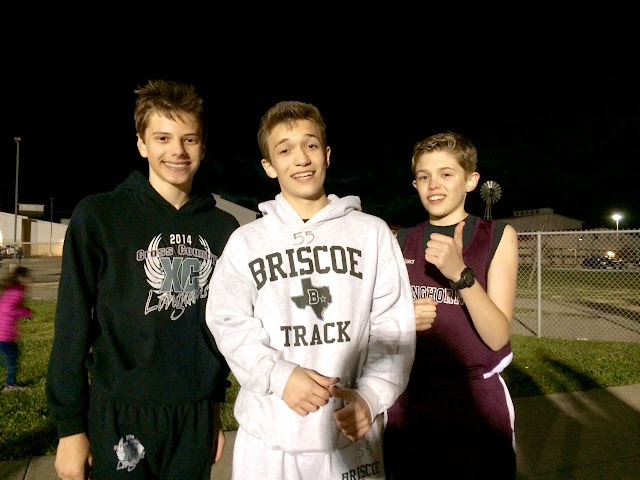 Cody had his first track meet on Thursday night, and Alex & Isaac ran as well. If they can't be on the same team, I'm glad that we get to see them & cheer them on at the meets! Cody did as I expected and then some! 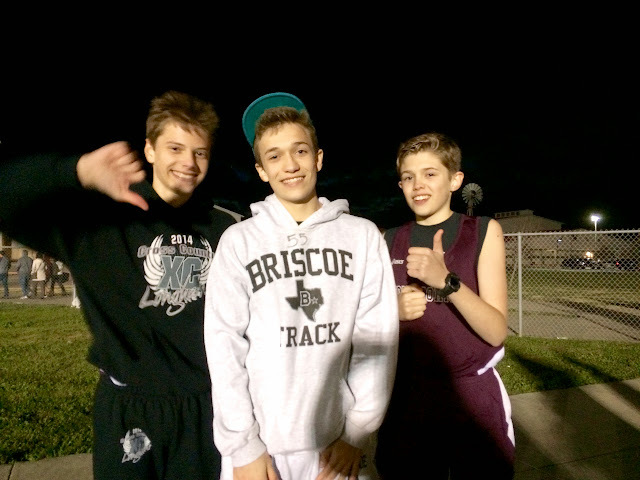 In the 800, he placed 2nd to his teammate who won district last year. And he won the mile! Those are the things that I expected. What I didn't expect was for him to place 8th overall at the meet and set PRs in both events! His time in the 800 was 2:18, and his mile time was 5:14! His goal is to break 5-minute mile this year, and I really think it's possible!! I'll keep y'all posted. In other good news...Baby girl got a new car!! We got him from the same broker as Lola, and she gave us a really good deal on him! He was originally going to cost a bit more, but I was simply honest with her about what we could spend, and she came down to that. We definitely plan on getting her help when we're ready to replace Travis! 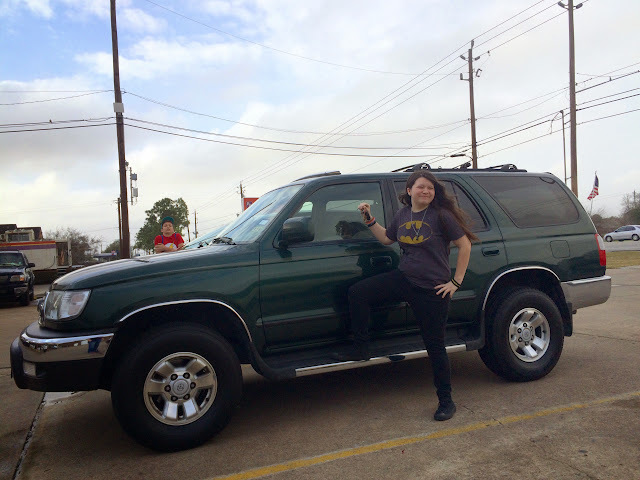 Oliver is a 1999 Toyota 4Runner that belonged to the broker's elderly neighbors. ...& I think he looks pretty good for his age, too! As for today's song, it's just good! If you haven't listened to much All Sons & Daughters' stuff, you really should! holy cow your boy is fast!!! and i big puffy <3 4runners. sweet ride! We've had our 4 Runner for 8 years now and we love it! Ours is a 2000 and it doesn't look anywhere near that nice! Ha. The elderly are always so good with maintenance and cleanliness in their cars so that's an awesome find. I can't wait to hear about when Cody breaks that record!